My writing career evolved from my career as an educator. 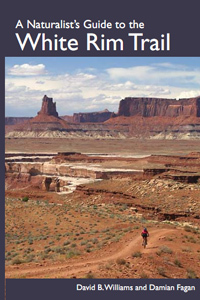 After majoring in geology at college, I moved to Moab, Utah, to be in my favorite geologic landscape and to work at a non-profit environmental field school, Canyonlands Field Institute. I taught and coordinated natural history programs for people of all ages for five years, followed by three years as an interpretive park ranger at Arches National Park. These teaching experiences fostered my desire to become an author because I saw writing as a better method to more widely share my passion for the natural world. I was also a bit lazy and had gotten tired of lugging around a pack full of field guides so I decided to write my own. 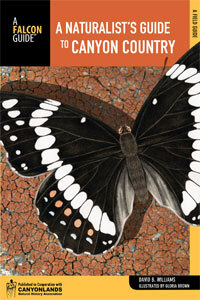 Not knowing how the business worked, I wrote most of the book, A Naturalist’s Guide to Canyon Country, before finding a publisher. More than ten years later, it’s still in print. In 2013, there was a new, updated edition with many new species, corrections, and exciting insights plus Gloria Brown’s wonderful drawings. Then my wife decided to go to graduate school and we ended up moving from Moab, county population of 2 people/square mile, to Boston, with roughly 19,000 more people in the same area. Those first six months weren’t very good. Where I had once traipsed through quiet sandstone canyons, surrounded by 1,000 foot tall cliffs of rock, I now walked through shadowy canyons created by buildings. Where I once hiked on desolate trails, I now crossed busy streets. For the first time in many years I felt disconnected from the natural world. And then I noticed Boston’s buildings. Half-billion-year old slates butted against 150,000-year-old travertines. Metamorphic rocks interfingered with igneous rocks. Fossil-rich, sea-deposited limestones juxtaposed mineral-rich, subduction-created granites. Plus, builders had gone to the effort of cleaning and polishing these fine geologic specimens, making their stories that much easier to read. As I began to notice the stone in buildings, I found the geologic stories that could provide the connection I had lost to wildness. My second and third books grew out of these urban experiences. After our sojourn in Boston, my wife and I moved back to my hometown of Seattle. 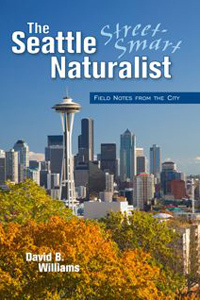 The Seattle Street-Smart Naturalist: Field Notes from the City is a collection of essays looking at nature in what many consider our most unnatural places, the urban environment. 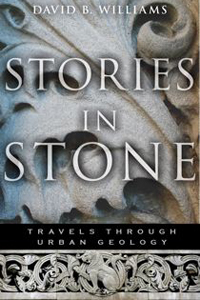 I followed this with Stories in Stone: Travels Through Urban Geology, which weaves together the natural and cultural history of building stone from around the country. 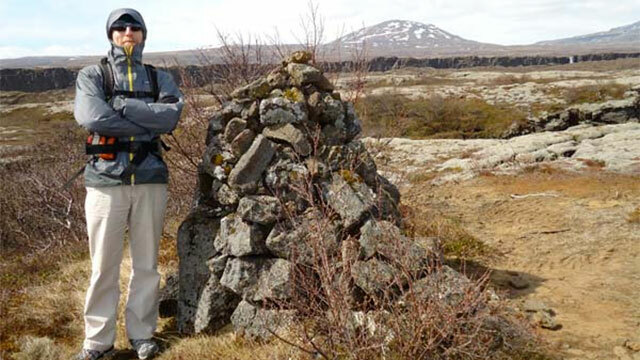 In 2012, I turned my attention to another overlooked aspect of the geologic world: cairns. At first glance these piles of stone may seem lacking in story but a deeper examination reveals a wealth of connections to geology, ecology, and human history. They are a way to connect to a landscape. They are means to communicate to others. 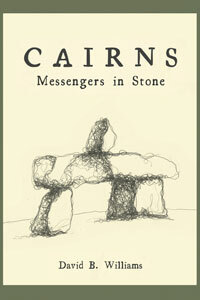 For thousands of years, cairns have been an essential guide to travelers, explorers, and wanderers. They are the silent messengers of the trail. 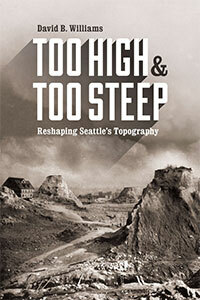 Three years later, in September 2015, the University of Washington Press published Too High and Too Steep: Reshaping Seattle’s Topography. In it, I look at the major engineering projects in early Seattle from filling the tideflats of the Duwamish River to building the Lake Washington Ship Canal and Hiram M. Chittenden Locks to razing Denny Hill. Next up are two more Seattle-based books. The first to appear, in March 2017, will focus on walking the city with 17 tours around Seattle. 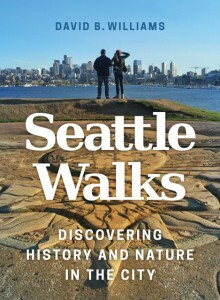 Seattle Walks: Discovering History and Nature in the City weaves together human and natural history. And then in June, HistoryLink.org will publish Waterway: The Story of Seattle Locks and Ship Canal. It is coming out to commemorate the centennial of the opening of the locks on July 4, 1917.